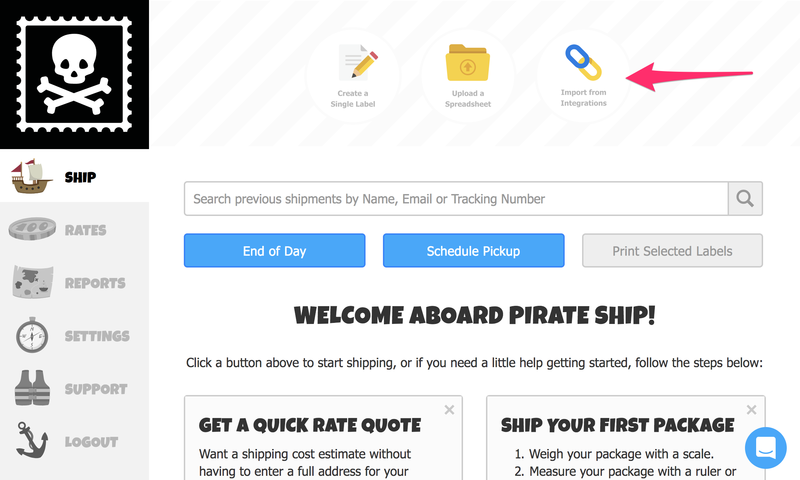 Pirate Ship's MoonClerk integration makes it simple to ship your subscription orders. 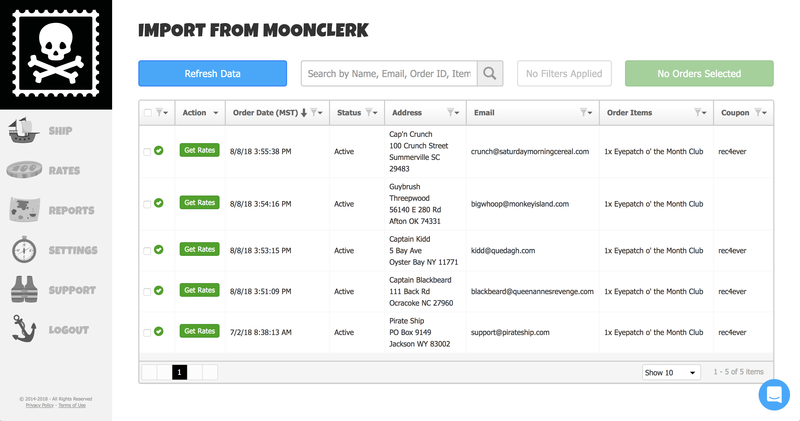 On the top right of your MoonClerk dashboard, click Account > Settings, then click API Key. Generate an API key and copy it. Paste the API key in, and select which Subscription Statuses you want Pirate Ship to import. Most businesses only want to ship to Active subscribers, but you can configure it however you need. Recommended: Pirate Ship can lock subscriptions that you've shipped to recently, to prevent you from accidentally duplicate shipping a subscription within a certain period of time. Just turn on the feature and select the time period that works for you. Once you've saved the connection, you're all set! On the Ship page in Pirate Ship click the Import from MoonClerk button (or it will say Import from Integrations if you have multiple platforms connected). By default, Pirate Ship displays all the Plans you have in MoonClerk that are Status "Active," but you can adjust that if you need to in Settings > Integrations > MoonClerk. Pro Tip: Click any column header to open the filter menu, open the Columns section, and choose which data you'd like to display. You can display any Custom Fields you added to your MoonClerk Payment Form, as well as data like Coupons. Using that data as filters makes it super easy to separate batches of your variations if they have different size/weights that you need to purchase different postage for. Note: Subscriptions with no Custom Form Field of the type Address will be skipped. There's no address data, so there's nothing to buy a shipping label with! If you run into any questions along the way just click the chat button on the bottom right to ask us, we're here to help!